What’s New with this Pussycat? 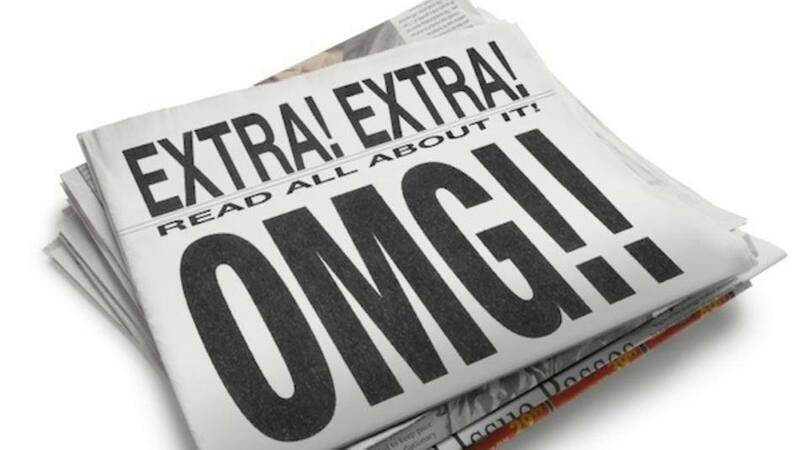 I may be dating myself with that Tom Jones song title as a subject, but I wanted to post some updates for those of you who don’t subscribe to my newsletter (and I hope some of you will consider doing that to keep up with my books and to enter my monthly contests). 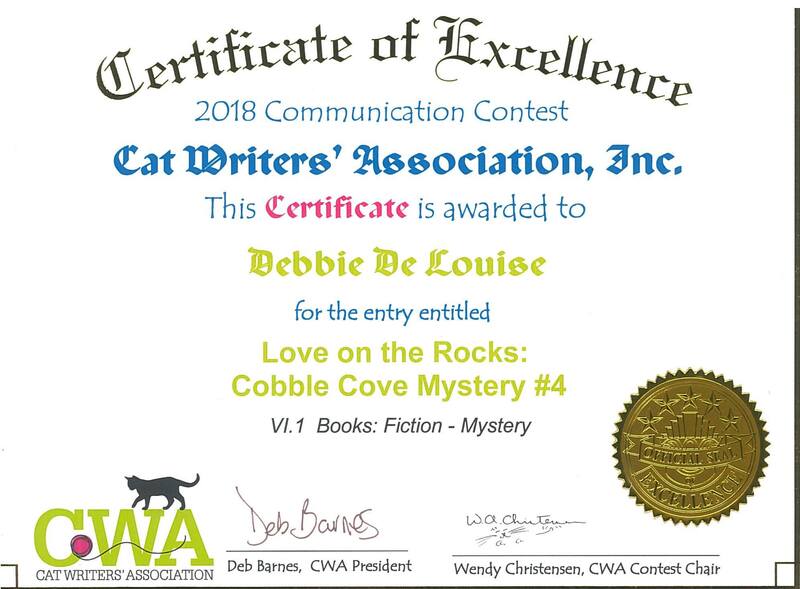 Speaking of contests, I’m running a special end of summer one that started on August 1st and will end on September 15th when I choose a winner for an autographed paperback copy of my next Cobble Cove mystery and a $5 Amazon gift card. 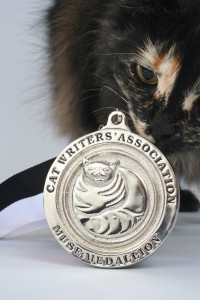 The winner will also have his or her name listed in the book along with the name they choose for the new female kitten who will be introduced in that book. 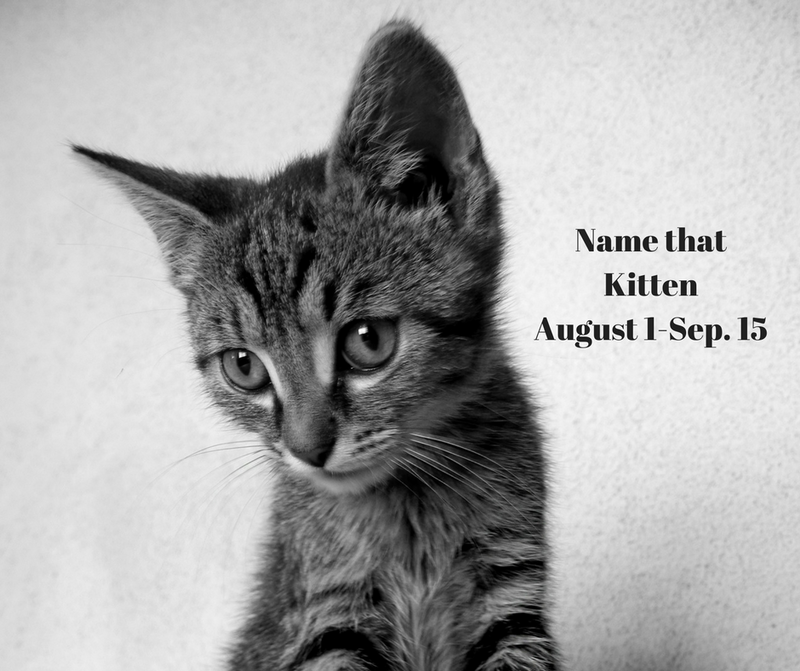 To enter, email me the name and description for a female kitten. She can be one of your own cats or just one you make up. You should email the entry to debbiewriter@yahoo.com with the subject line: Name That Kitten Contest. 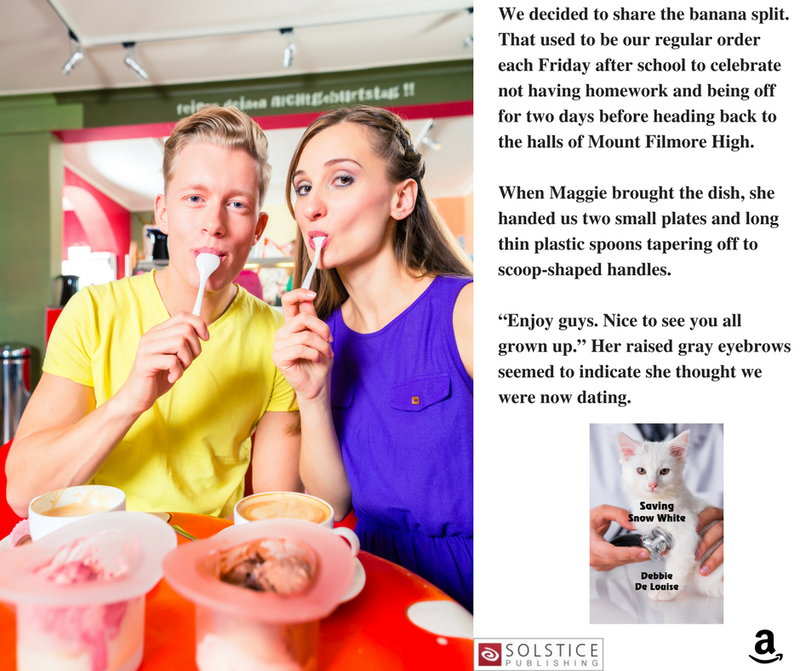 The winner will be announced in my newsletter and on this blog, but you must be a subscriber to my newsletter to participate. To subscribe, complete the pop-up form on my website at https://debbiedelouise.com or email me your request to subscribe. it might be nice to go over and introduce myself. “Hello. My name is Jenny, and this is Snow White. meet my mom, too. She’s friends with Mrs. Palmer already. ball of fur, and the cat purred as I stroked its head. 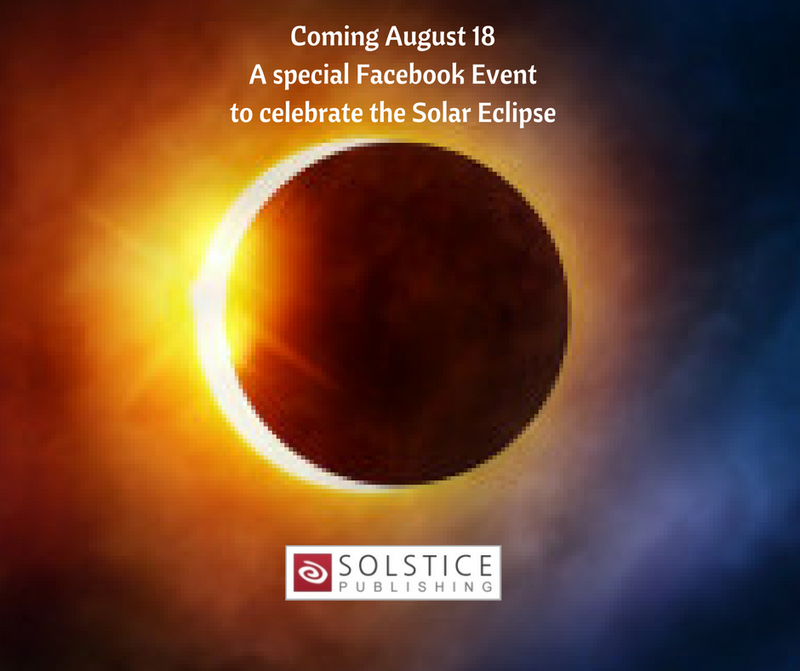 On August 18, my publisher, Solstice Publishing, is also holding a big pre-Eclipse Party. 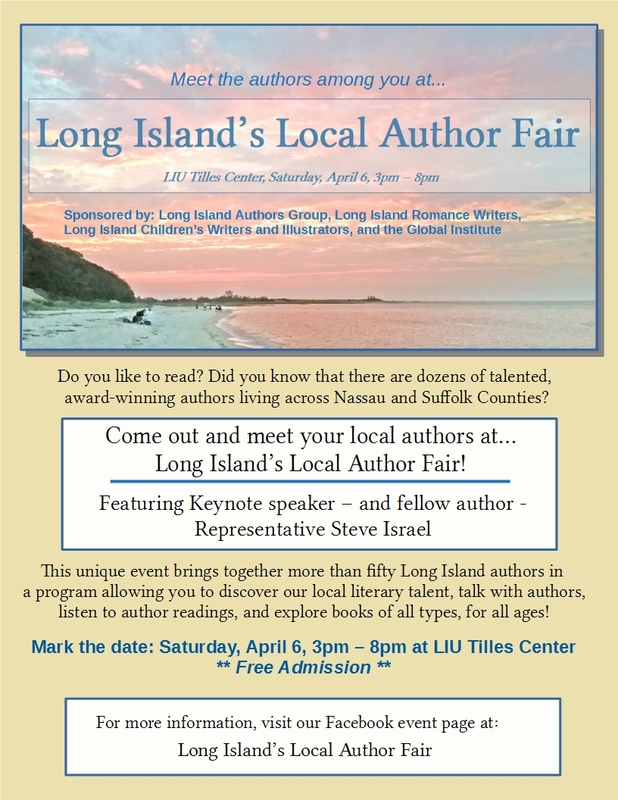 My fellow authors and I will be participating with Q & A’s, giveaways, freebies, and some other fun activities. I will be posting further details and the link to join in closer to the date. I hope you are all enjoying this holiday season. I wanted to share with you a few updates. 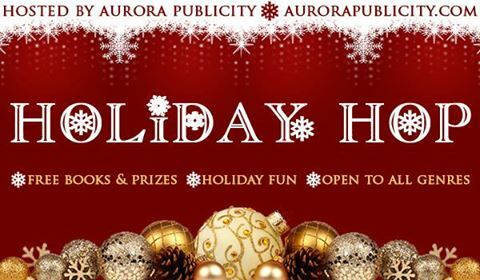 If you haven’t participated in the Aurora Holiday Hop in which 100 authors including myself are giving away prizes, you should do so before it ends today, December 18. 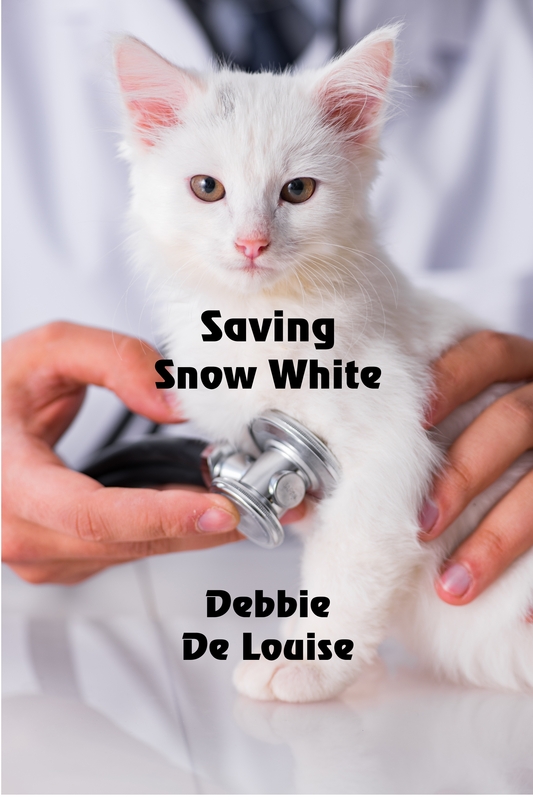 You can find the details on the post on my Facebook author page at https://www.facebook.com/debbie.delouise.author/. The main hop page is located at https://www.facebook.com/events/1101537709967416/. 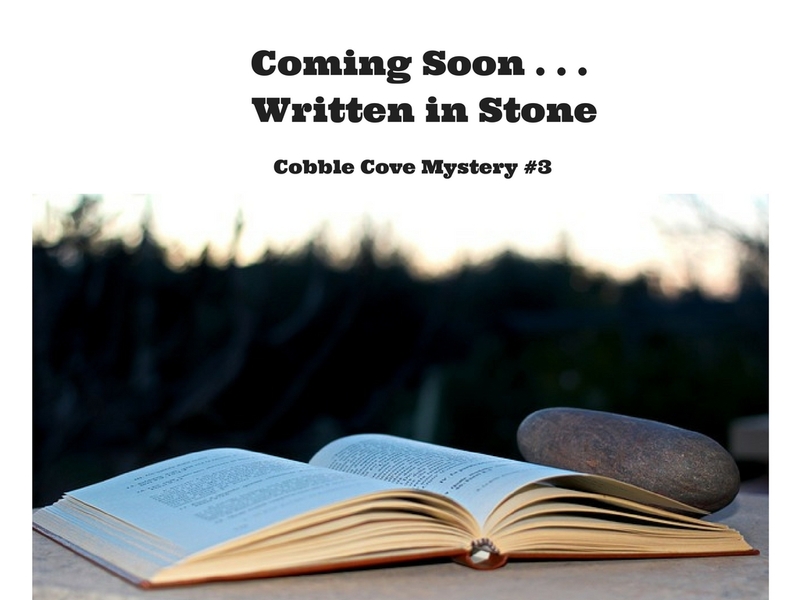 I also have some good news to share with those who have read or would like to read my Cobble Cove Mystery series. Following A Stone’s Throw and Between a Rock and a Hard Place, I have completed the first draft of a third book that I hope to call Written in Stone. I will be sure to include more news about this new mystery and some excerpts as it gets closer to a release date. 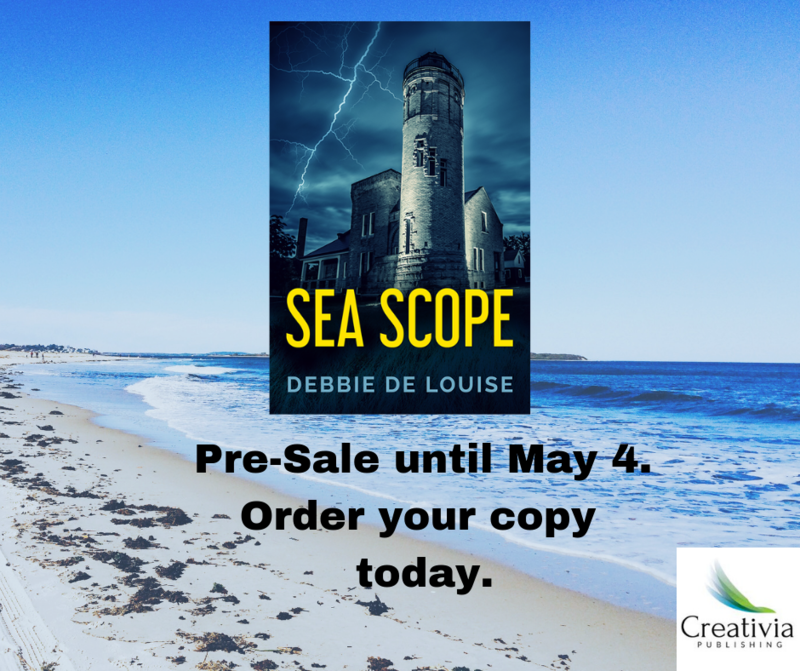 The best way to keep updated about all my author news is through my twice monthly newsletter which you can subscribe to at https://debbiedelouise.com by filling out the pop-up form. I also feature a monthly prize contest for my subscribers. 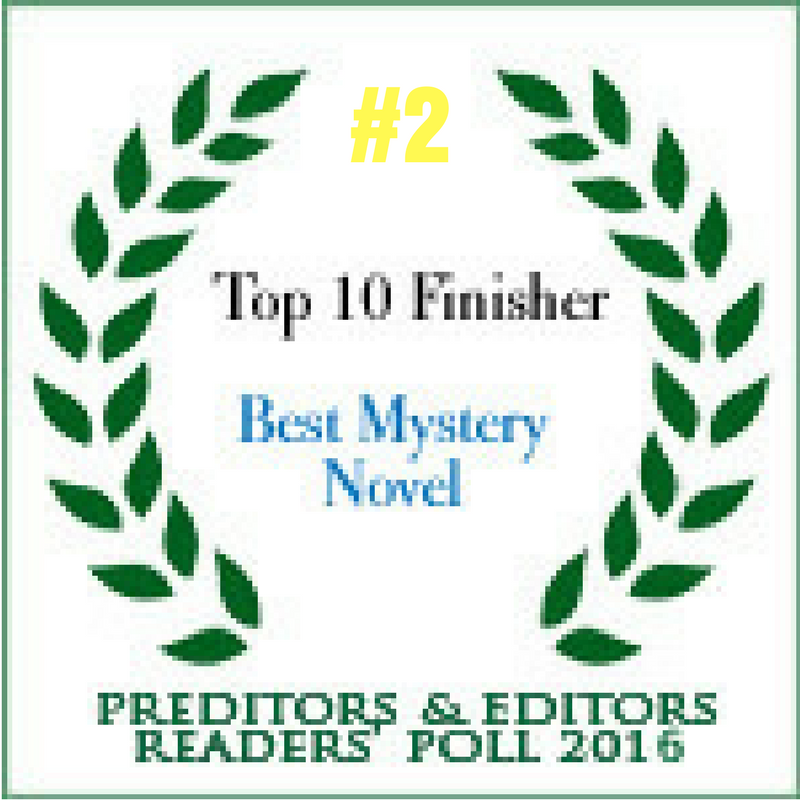 As a holiday present to those of you who have not yet read my second mystery or would like to give it as a gift to someone, Between a Rock and a Hard Place, will be free on Amazon.com on Tuesday, December 20 and Wednesday, December 21. I also have a Christmas story for only 99 cents that features the Cobble Cove characters. 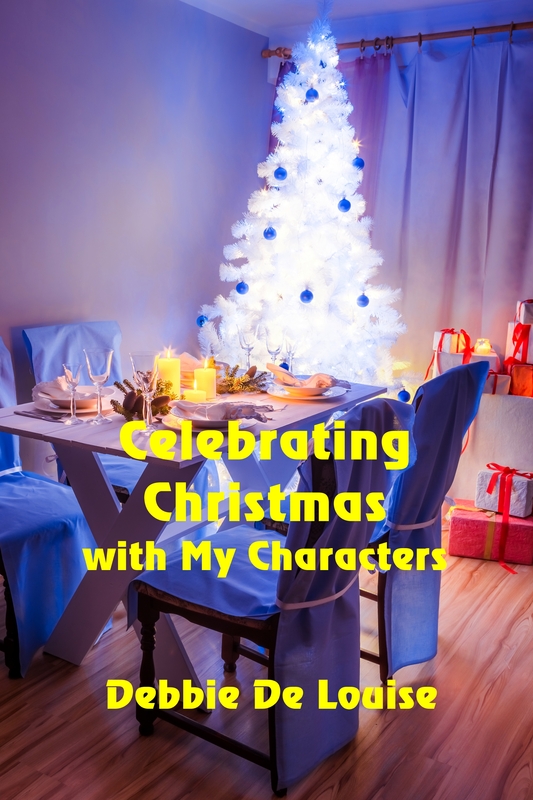 Celebrating Christmas with my Characters. I am also up for Best Author of the Year. 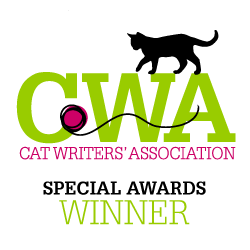 If you’ve enjoyed this blog, my newsletter, and/or my books and would have a moment to vote in the next few days, please visit the polls at http://solsticepublishing.com/vote-for-author-of-the-year/ I truly appreciate your support. The final piece of news is that I have just created a Facebook group that will be hosted by one of the Cobble Cove characters each month. The host will answer questions about their role in the mysteries and anything people would like to ask about the books excluding spoilers. The host will also offer a contest or giveaway and may post some interesting trivia about themselves and/or the series. The current host until January is Alicia, the main character. Even while she is host, readers are welcome to post questions to any of the characters. 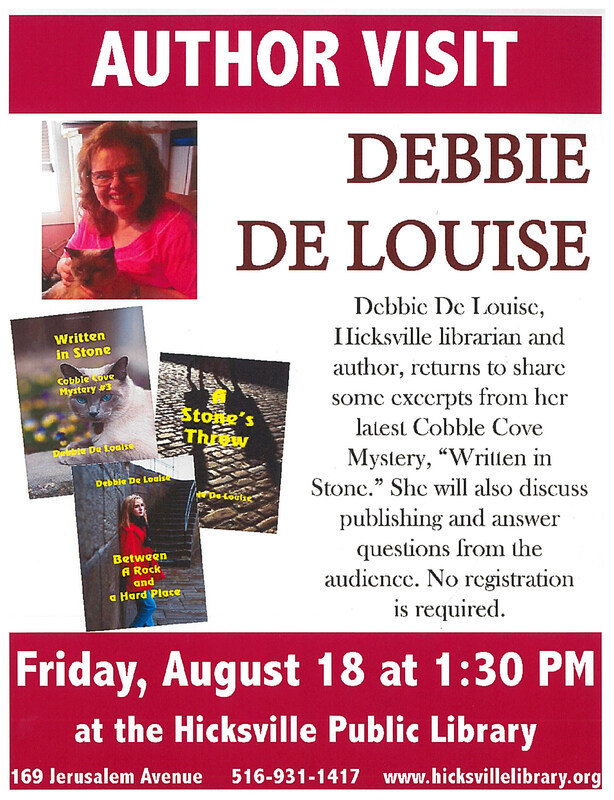 For more information, to post a question, and to join the group, please visit the Cobble Cove Character Chat at https://www.facebook.com/groups/748912598599469/. The Cobble Cove characters and I wish you and your families a very happy and healthy holiday. 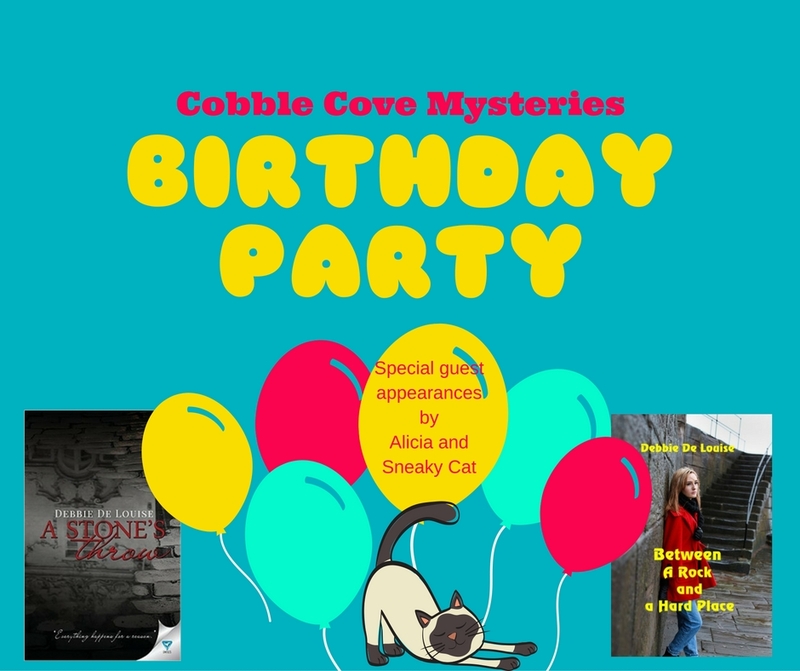 The two books in my Cobble Cove mysteries, A Stone’s Throw and Between a Rock and a Hard Place, are part of Book Enthusiast Promotions Holiday Blitz that features a $90 gift card giveaway in addition to wonderful holiday reads. Both my cozy mystery books take place near holidays. 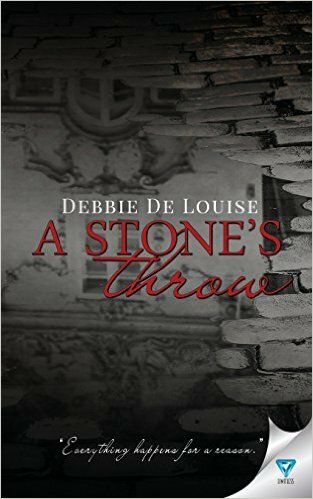 A Stone’s Throw, with a sweet romance and a page-turning, twisty mystery takes place in November and includes a Thanksgiving scene at the quaint Cobble Inn. 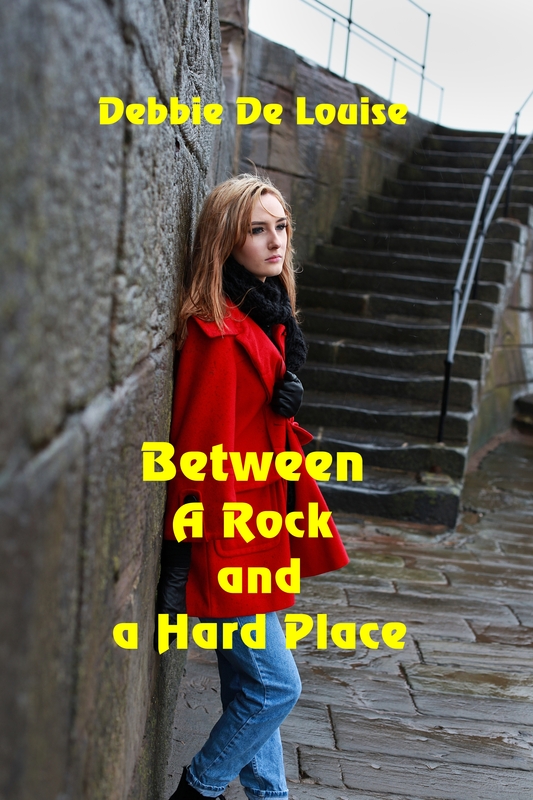 Between a Rock and a Hard Place features the Cobble Cove Christmas Faire as well as a few scenes in New York City during the holidays, several new characters, and three crimes to be solved. 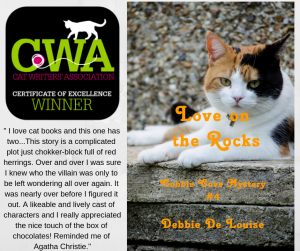 In my next author newsletter around November 15, I am going to announce a holiday contest with a special prize connected with my second Cobble Cove mystery, Between a Rock and a Hard Place. The contest will run from mid-November to Mid-December. At the end of that time, I will randomly choose a winner from all my newsletter subscribers. 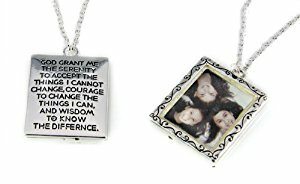 The winner will receive the silver serenity photo locket pictured or, based on availability, a similar item. It will make a great holiday gift for yourself, a friend, or a relative. 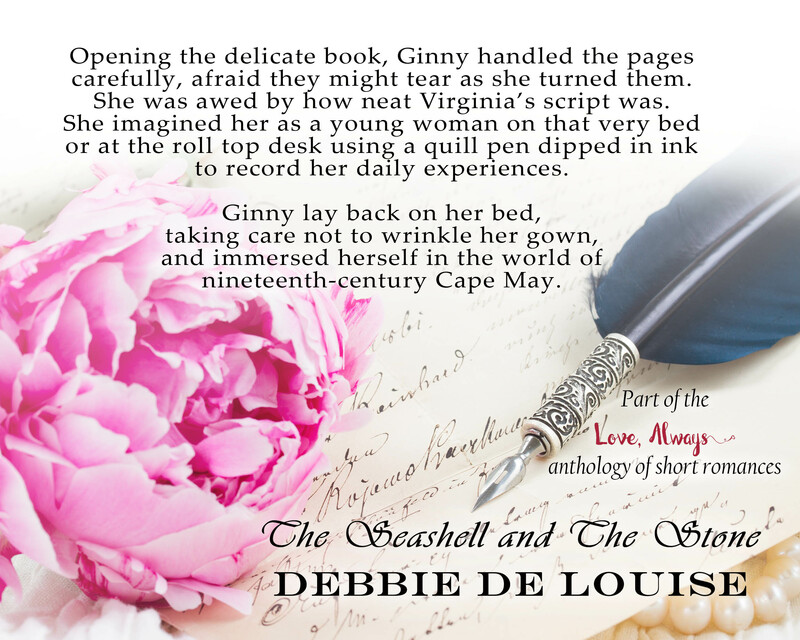 If you aren’t already a subscriber to my author’s newsletter, Debbie’s Drafts, you can sign up through the pop-up form at https://debbiedelouise.com or send a request to join with your email address to me at debbiewriter@yahoo.com. Subscribe at https://debbiedelouise.com or email debbiewriter@yahoo.com with your address to ask to be subscribed. Prizes will only be awarded if a minimum of 10 people enter. 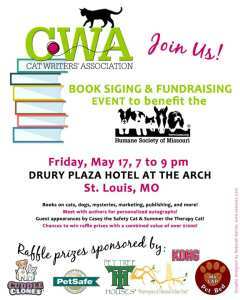 Submit a photo of you, a friend, or even a pet with my book, A Stone’s Throw. All photos submitted to me by email at debbiewriter@yahoo.com by August 31st. will be entered in a random drawing for the $10 Amazon gift card. Those who submit photos agree that they may be used on social media. 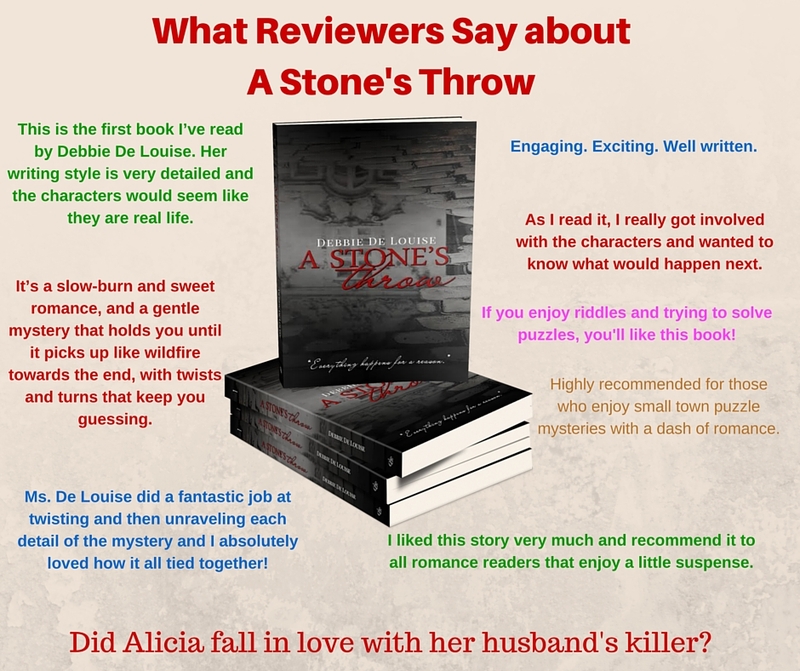 For a $5 Amazon gift card and an anthology of romances written by 16 authors including myself, read the excerpt below and answer this question: What magical power did the stone have? Send your reply by August 31st. to debbiewriter@yahoo.com. 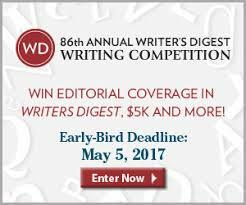 Only newsletter subscribers are eligible to win, and this contest is not sponsored by Mailchimp or Yahoo. The winner will be announced in the September 1st. newsletter. As Virginia and Stephen made their way toward the end of the boardwalk, the merry-go-round music that drifted along their path changed to a loud cacophony of whistles and horn blasts announcing “the greatest show on earth.” A man on stilts came hobbling toward them, his wide yellow polka-dotted pants flapping in the breeze off the ocean. “Good day, Ma’am. Good day, Sir,” he greeted them. “Right this way to the midway.” He chuckled at his use of words. Up ahead, Virginia spotted the circus tents lined on the beach and the acrobatic high-wire strung high across two tall poles. Virginia felt her anger flare again as it had when he had criticized her for feeding Seashell table scraps. “It’s my money to spend and that’s how I wish to spend it.” Her father had given her a $1 note as well as a few silver coins for carnival expenses. Marie shuffled the cards and placed them face down in a pile. “Direct your energy on the cards and then choose one,” the woman instructed ignoring Virginia’s question. Virginia followed her directions while Mr. Granger stood with a bored look on his face shuffling from foot to foot. “Does it mean I’ll be wed soon?” Virginia asked. “As you wish.” Marie glared after Stephen as he walked away with Virginia. “I was not exactly honest with you about my occupation.” Virginia felt excitement flood through her at the thought that Mr. Granger was about to share the information she sought without her having to resort to any of her tricks to pry it out of him. “Let’s sit on a bench for a moment,” he suggested guiding her away from the crowd. He seemed to hesitate briefly as if he regretted his haste in revealing what he was about to say. Then he reached into his trouser pocket and retrieved a translucent stone. For a second she thought it was a Cape May diamond, the crystals that resembled the real jewels that Cape May residents and visitors searched for along the beach. However, they had not spent any time on the sand, and he had just arrived in town.